The Syrian Network for Human Rights reveals in its report released today that it has documented nearly 457 attacks in Syria by the Syrian and Russian regimes using cluster munitions, 24 of which occurred following the Sochi Agreement in September 2018. The report confirms that the Syrian regime is the world’s worst offender in terms of using cluster munitions. 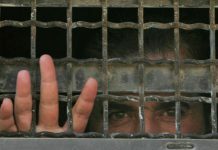 The 15-page report reveals that the Syrian regime, represented by its military institution, the Syrian Army, has used a vast range of weapons from its arsenal against Syrian people, neighborhoods and areas that expressed their desire to change the system of governance in Syria from hereditary dictatorship to a pluralistic democratically elected system, like the countries of the civilized world, and that cluster munitions were one of the most widely and repeatedly used weapons, with the use of this type of indiscriminate weaponry by the Syrian regime not receiving the required level of condemnation and attention, despite the enormous number of casualties that the use of cluster munitions has inflicted in Syria. The report highlights the reality of the use of cluster munitions in the Idlib de-escalation zone (consisting of Idlib governorate and parts of the governorates of Hama, Aleppo and Latakia) by the Syrian-Russian alliance forces since the Sochi Agreement on September 17, 2018, and how this has affected the lives of the population in those areas. The report also includes the record of the use of cluster munitions by the Syrian-Russian alliance forces in the period since their first documented use in July 2012 up to April 10, 2019. The report also contains two accounts that were collected through speaking directly with eyewitnesses, neither of which are cited from any open sources. The distinction was made as far as possible between attacks by the Russian regime and the Syrian regime; however, in the attacks whose perpetrator could not be determined, responsibility was assigned collectively to the Syrian-Russian alliance. The report details the nature of cluster munitions which represent hollow weapons designed to explode in the air and disperse large numbers of bomblets or submunitions over a large area; these bomblets are lethal in their implications, which go beyond the era of war and conflict. In addition to the victims killed as a result of the explosion of cluster munitions at the time of the attack, between approximately ten and 40 percent of these munitions remain unexploded, turning them into live landmines that kill or maim civilians, with hundreds of shrapnel pieces penetrating the bodies of those injured, and potentially leading to a need for amputation of limbs, damage to bodily organs, and rupturing of veins and arteries. The report notes that these remnants, which are still extensively widespread across Syria, constitute a major obstacle to the return of displaced persons and the movement of aid workers and Civil Defense rescue personnel and their vehicles, as well as constituting a threat to the process of reconstruction and development. The report records at least 457 cluster munition attacks between the first documented use of these weapons in July 2012 and April 10, 2019. The Syrian regime carried out 216 of these attacks, while Russian forces carried out a further 233 attacks, and eight attacks were carried out by Russian/ Syrian forces without accurately specifying the responsible party. According to the report, these cluster-munition attacks launched by the Syrian-Russian alliance resulted in the deaths of 955 civilians, including 345 children and 205 women (adult female), and also caused injuries to approximately 4,200 civilians, many of whom have undergone amputations of limbs and require prosthetic limbs and a series of rehabilitation and support operations as a result. The report also reveals that at least 357 civilians, including 107 children and 31 women (adult female) were killed as a result of the explosion of submunitions left over from previous cluster munition attacks. The report provides an overview of the reality of the use of cluster munitions under the Sochi Agreement, which succeeded in briefly stopping cluster munition attacks, with no such attacks recorded in the five-month period between the entry into force of the Agreement on September 17, 2018, and February 2019. It notes, however, that following the conclusion of the fourth Tripartite Summit, which brought together the Heads of States of Turkey, Russian and Iran in Sochi on February 14, 2019, there has been a change in the policy adopted by Syrian Regime forces, with regime attacks and bombardment of villages and towns far from the line of contact escalating sharply, adding that this escalation by the Syrian regime has included an escalation in cluster munition attacks. 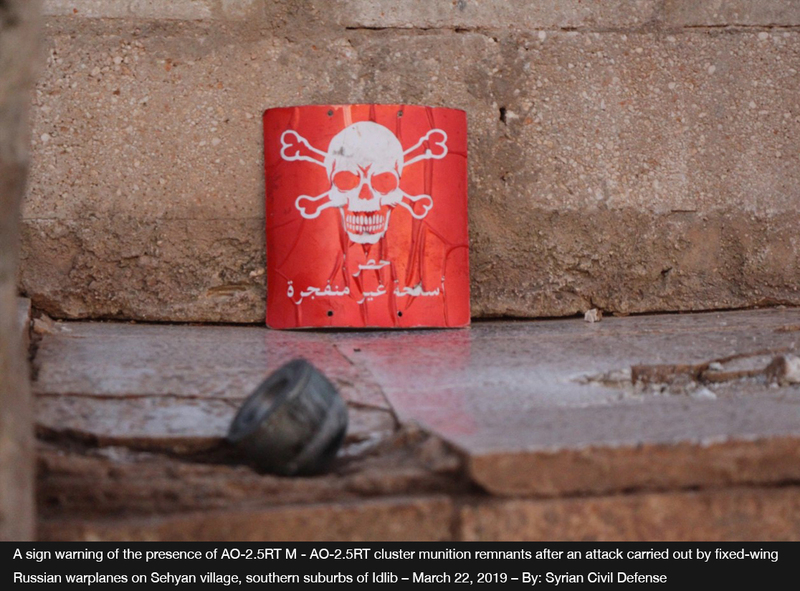 The report documents at least 24 cluster munitions attacks between September 17, 2018, and April 10, 2019, 23 of which were carried out by the Syrian regime with the other one perpetrated by Russian forces. These attacks resulted in the deaths of at least 34 civilians, including eight children and six women (adult female), and injured at least 137 civilians. The report also notes that at least seven civilians, including four children were killed during the same period as a result of the explosion of submunitions left over from previous cluster munition attacks. 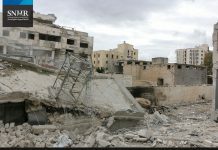 According to the report, the use of cluster munitions by Syrian Regime forces in the Idlib area may not be part of a plan for a near-term military advance; rather, it suggests, the motive of these attacks is to completely paralyze life in the areas under attack, with civilians living in areas affected by cluster munitions attacks unable to live in safety until the areas around their homes, farmlands and markets contaminated with the remnants of these bombs are identified and cleared of these deadly submunitions. This is, of course, an additional burden on already struggling local organizations that deal with such services, which requires funding and specialist expertise in this field. The report notes that at least 16 cluster munition attacks on vital civilian facilities occurred between September 17, 2018, and April 10, 2019, noting that this has contributed to a further increase in the suffering of civilians and made life even more difficult for them, with the repeated attacks forcing them to flee from their villages and towns. According to the report, the recent attacks, specifically those since February 2019, have seen the Syrian regime using BM-30 SMERCH and BM-27 URGAN cluster munitions, mostly using specific types – 9M55K, 9M27K and 9M27K1 – which are launched from stationary platforms. These munitions are characterized by the fact that their submunitions, which can be of two types, namely 9N235 or 9N210, can fragment into hundreds of metal pieces, which increases the risk of their use in populated areas, and increases both the toll of victims and injured and the severity of the injuries. The report stresses that the use of cluster munitions by Syrian Regime forces led by the Commander-in-Chief of the Syrian military, Lieutenant General President Bashar al Assad, as well as the Russian forces, violates both the principles of distinction and proportionality in international humanitarian law and is considered a war crime, noting that the use of cluster munitions was carried out by Syrian Regime forces, against civilian targets, rather than being directed at serving a specific military purpose, and thus that these attacks constitute war crimes. The report calls on the UN Security Council to adopt a special resolution banning the use of cluster munitions in Syria, similar to its prohibition on the use of chemical weapons, to provide advice on how to remove the remnants of such dangerous weapons, and to immediately and urgently intervene to protect the Syrian people from such attacks by the ruling authority, which constitute war crimes. The report recommends that the UN Human Rights Council and International Commission of Inquiry (COI) issue a statement condemning the use of cluster munitions by the Syrian-Russian alliance, and conduct extensive studies on the locations where Syrian-Russian alliance forces have used cluster bombs to warn the people of these areas and to expedite the clearance of unexploded ordnance. The report also calls on the Russian government to immediately end the production of cluster munitions and stop using them in Syria, to start destroying its stockpiles of these weapons, and to accede to the Convention on the Prohibition of the Use of Cluster Munitions, to publish detailed maps of locations where cluster munition attacks have been launched, to provide these to the United Nations, and to inform the Syrian community about them, thus facilitating the disposal of unexploded ordnance. Finally, the report urges the High Commissioner for Human Rights to condemn the widespread and excessive use of cluster munitions against civilians in the Idlib area, and to submit a letter to the UN Security Council in this regard.